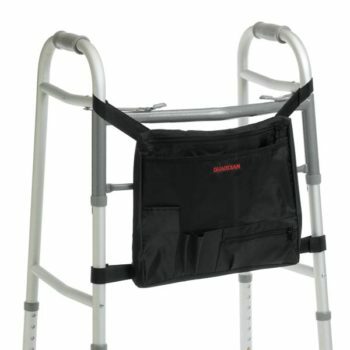 The rollator weighs only 11 lbs. (5 kg). Lightweight and folding capabilities make this the ideal model to get in andout of the car/storage. 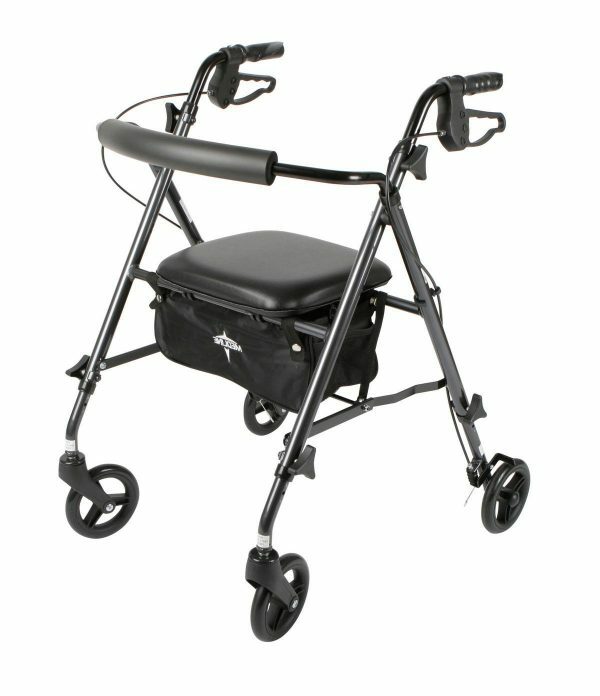 Height-adjustable arms and legs let users find a perfect fit as this rollator accommodates users 4’11”-6’4″ (147-188 cm). Weight capacity is 250 lbs. (113 kg). 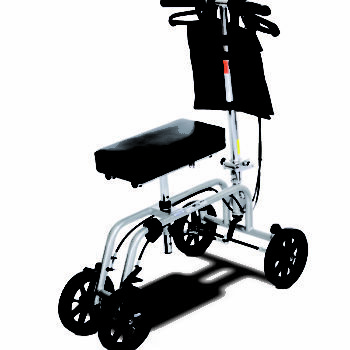 Wheels are 6 ” (15 cm); distance between handles is 17″ (43 cm); seat height min./max. is 18″-23″ (46-58 cm). ; height min./max. is 29″-36″ (74-91 cm). Durable tig-welded frame in gray powder coat finish. 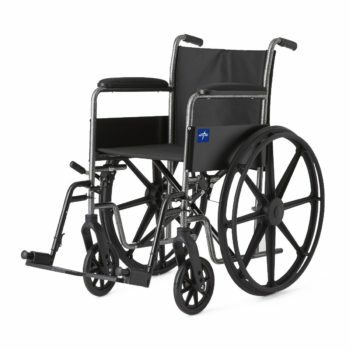 Features comfortable nylon upholstery, smooth-rolling, solid flat-free tires and dual axle hemi-height adjustable. Seat size 20″ w x 16″ d (51 cm x 41 cm). 300-lb (136 kg) weight capacity. This product contains dry natural rubber. 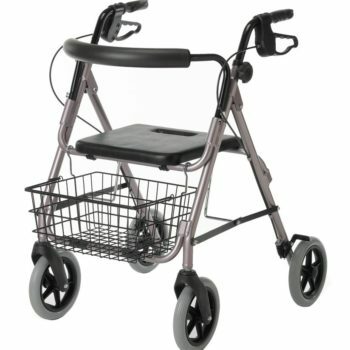 Picture is representative of this wheelchair line; please check specification tableon each individual sku for specific product details. Optional accessories: O2 Holder (item MDS85181U), Anti-Fold Device (item MDS85197A), O2/I.V. Combo (item MDS85190), Anti-Tip Device (item MDS85189), Tinnerman Legrest Locks (item WCA806991). Available with desk length removable or full length permanent arm styles. 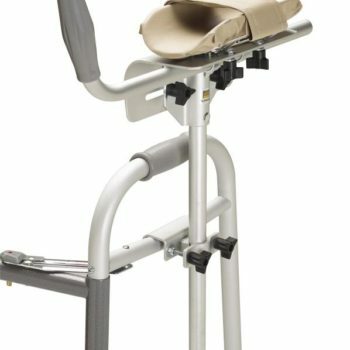 Available with detachable legrest or detachable elevating legrest. Seat size comes in 18″ w x 16″ d (46 cm x 41 cm) and 16″ w x 16″ d (41 cm x 41 cm). Optional accessories: O2 Holder (itemMDS85181U), Anti-Fold Device (item MDS85196), I.V. Pole (MDS85183), Overhead Anti-Theft Device (item MDS85197A), O2/I.V. 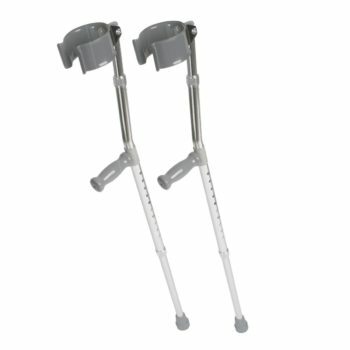 Combo (item MDS85190), Anti-Tip Device (item MDS85189), Tinnerman Legrest Locks (item WCA806991). This product contains dry natural rubber. 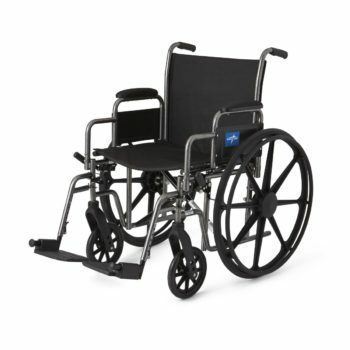 Picture is representative of this wheelchair line; please check specification table on each individual sku for specific product details. Diminish post-operative pain and swelling. Aid in the treatment and healing of: stasis dermatitis, venous stasis ulcers, arterial and diabetic leg ulcers, chronic venous insufficiency and reduction of edema in the lower limbs. The unit can also be used as an aid in the prophylaxis for DVT by persons expecting to be stationary for long periods of time. CAUTION: Charge batteries using only the power source provided by ThermoTek. Aids in the prevention of Deep Vein Thrombosis for Patients at risk for DVT post-surgically. 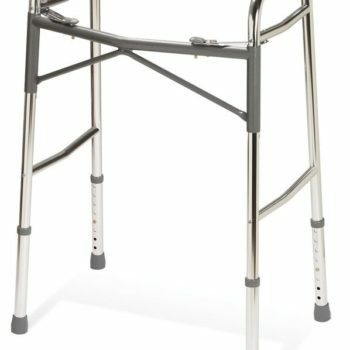 Comfortable, single patient use design. Remote control for effortless operation. 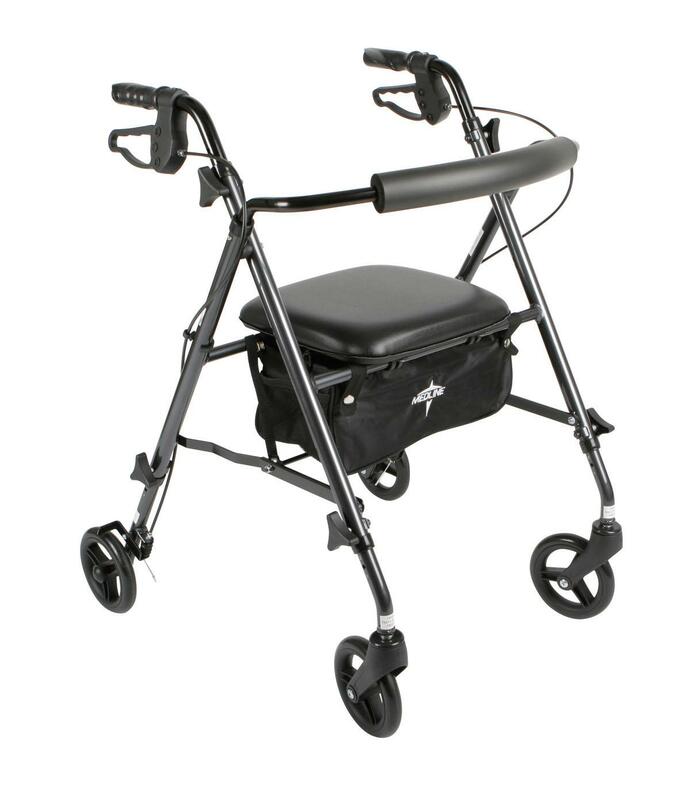 Battery operated with rapid recharging provides 8-10 hours of total run time between charges. 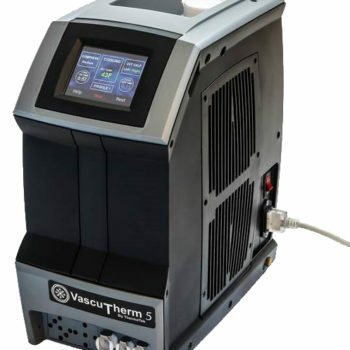 ThermoTek VascuTherm 4 Thermal Compression Therapy System provides the total solution to DVT/VTE patient management. Completely redesigned with physician driven, customizable therapy profiles, the VascuTherm 4 offers the patient highly effective DVT prophylaxis with intermittent compression. DVT Compression therapy is used in combination with specially designed therapy wraps to transfer pressure to the calf or foot using compressed air. 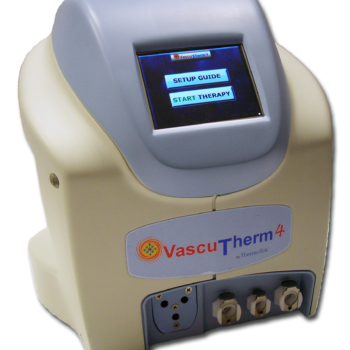 The preset inflation and deflation cycle of the VascuTherm 4 therapy system simulates natural walking action. This increases blood flow to the heart through the veins of the lower extremities to reduce the risk of clot formation. Cold Therapy passes cool fluid through the wrap for the management of pain, discomfort and swelling. If prescribed, Cold therapy can be used in combination with Pneumatic Compression therapy. Temperature range 43 degrees F to 50 degrees F.
Heat Therapy passes 105 degree F fluid through the wrap for the management of pain and discomfort. If prescribed, Heat therapy can be used in combination with Pneumatic Compression therapy. Thermal Contrast Therapy passes fluid through the wrap in an alternating cycle of Cool-Heat-Cool-Heat for the management of pain, discomfort and swelling. During Thermal Contrast Therapy, the unit will cool down the circulating fluid to 49°F for twenty (20) minutes and then heat up to 105°F for ten (10) minutes. This cycle is repeated until the prescribed duration of treatment is completed. Thermoelectric Cooling/Heating – No Ice Required! Localized thermal therapy (hot or cold) for post traumatic and post-surgical and/or medical conditions. Treatment of disorders associated with vascular or lymphatic insufficiency such as Chronic Venous Insufficiency (CVI), venous stasis ulcers, post-mastectomy edema and chronic lymphedema. ThermoTek VascuTherm 5 Thermal Compression Therapy System provides the total solution to DVT/VTE patient management. Completely redesigned with physician driven, customizable therapy profiles, the VascuTherm 5 offers the patient highly effective DVT prophylaxis with intermittent compression. DVT Compression therapy is used in combination with specially designed therapy wraps to transfer pressure to the calf or foot using compressed air. 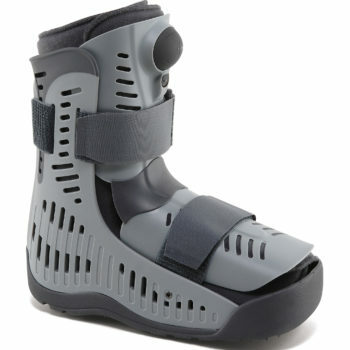 The preset inflation and deflation cycle of the VascuTherm 5 therapy system simulates natural walking action. This increases blood flow to the heart through the veins of the lower extremities to reduce the risk of clot formation. Cold Therapy passes cool fluid through the wrap for the management of pain, discomfort and swelling. If prescribed, Cold therapy can be used in combination with Pneumatic Compression therapy. Temperature range 43 degrees F to 49 degrees F.
Treatment for Edema and Lymphedema in the Upper and Lower Extremities with alternating compression; choice of Low (15 mmHg), Med (30 mmHg) or High (50 mmHg). 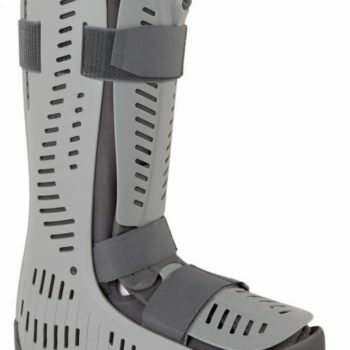 Compression Modality to reduce the risk of DVT formation on the Calf (45mmHg compression) and Foot (100 mmHg compression). Localized thermal therapy (hot or cold) for post traumatic and post-surgical medical and/or surgical conditions. Reduction of edema associated with soft tissue injuries such as burns, post-operative edema and ligament sprains. Treat and assist healing of cutaneous ulceration (wounds), reduce healing time, enhance arterial circulation (blood flow), reduce compartmental pressures, reduce edema (swelling), reduce the need for anticoagulant (blood thinning) medications. Decrease the risk of deep venous thrombosis (DVT). Aids the blood flow back to the heart. 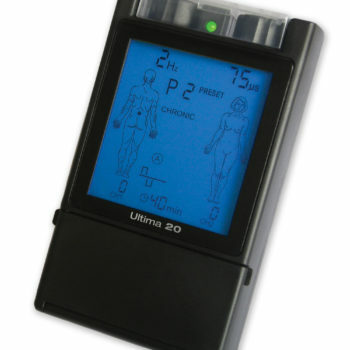 Package Includes: Device, batteries, lead wires,1 pack of 4 electrodes, carrying case, and user manual.